The vertical drop from summit to base is 3445 ft. The average difference in altitude between base and summit of Ski Resorts in France is 2848 ft. 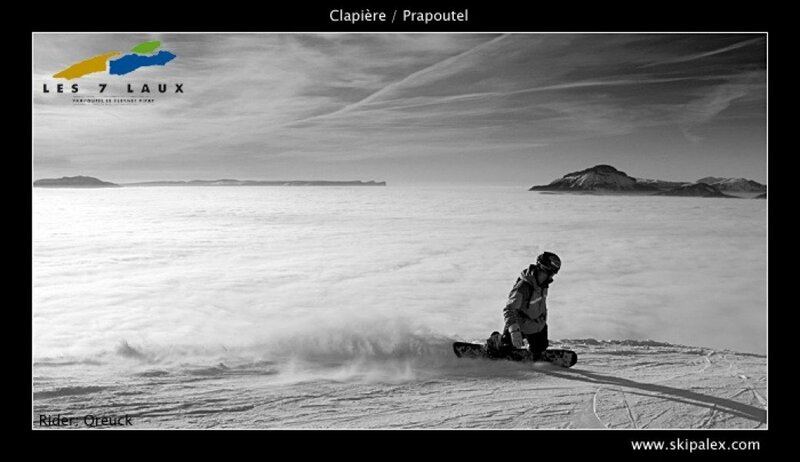 The high point of the ski resort is located at an elevation of 7874 ft.
Les 7 Laux is among the 5 best rated Ski Resorts in France. Average snow depth during the season (Dec 15 to Apr 14) is 53 " at summit elevation and 22 " at base elevation. Snow coverage is usually best during February, offering an average snow depth of 60 " at summit elevation and 29 " at the base. 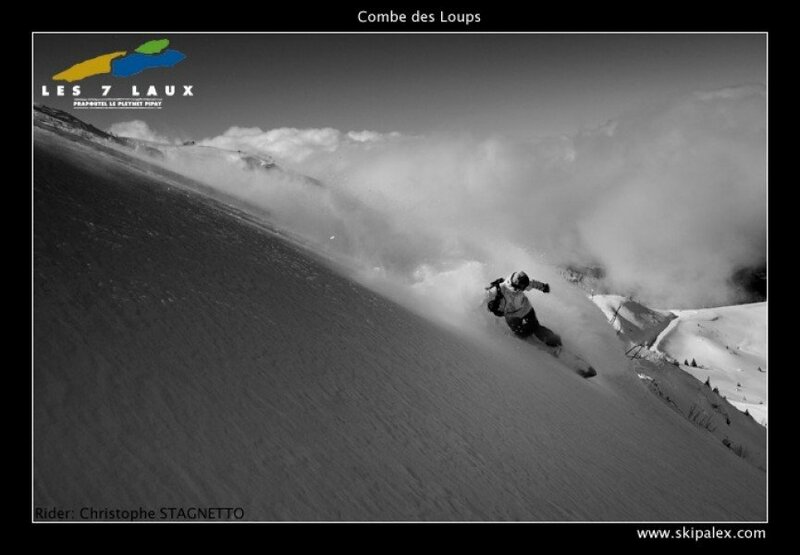 Les 7 Laux features 66 sunny days on average per season. 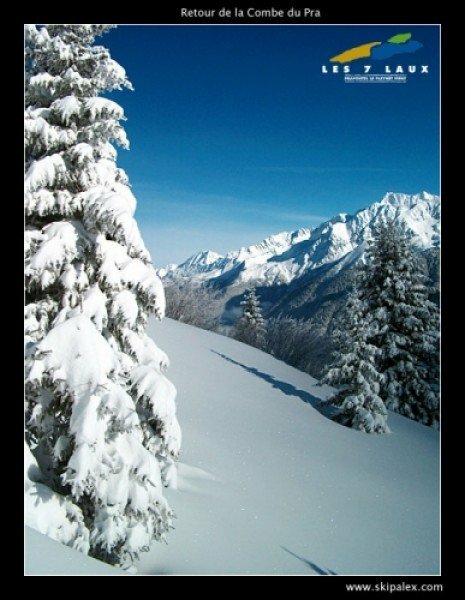 The average for all ski Resorts in France is 69 sunny days. February is the sunniest month with an average of 21 sunny days. 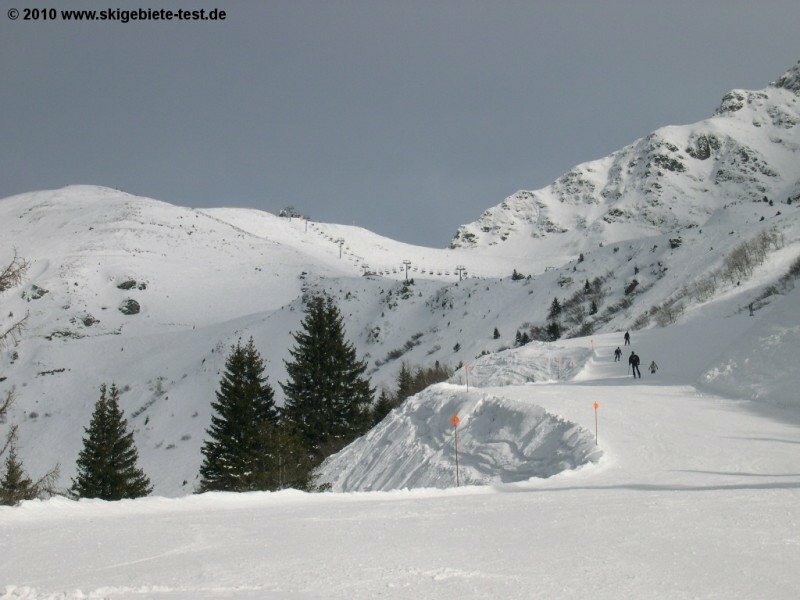 In the heart of the beautiful winter landscape of the French Belledonne mountains, the 120 kilometres of runs in the Les 7 Laux ski area offer up memorable conditions for winter sports fanatics of all skill levels. From the three villages in the valley – Prapoutel, Pipay and Le Playnet – 22 lifts extend up the mountain up to an altitude of 2,400 meters, opening up access to two mountain sides. Newcomers to Alpine winter sport can practice making their first turns in the designated beginner areas (Zones Débutants) by the valley stations as well as next to the Plan surface lift just up from Prapoutel. If you need help from an expert instructor, then there are a variety of courses to choose from organised by local ski schools. Advanced skiers can explore 40 kilometres of intermediate slopes, while the off-piste powder runs in Haut Du Domain and the steep groomers around the peak offer a real challenge for experts. Freestyle fans shouldn’t miss the “ho5” terrain park either. This zone can be reached via the Soleil surface lift and features both a wood line and boardercross course. There is also an air bag where you can try some daredevil stunts, and a range of obstacles geared towards both beginners and experts. 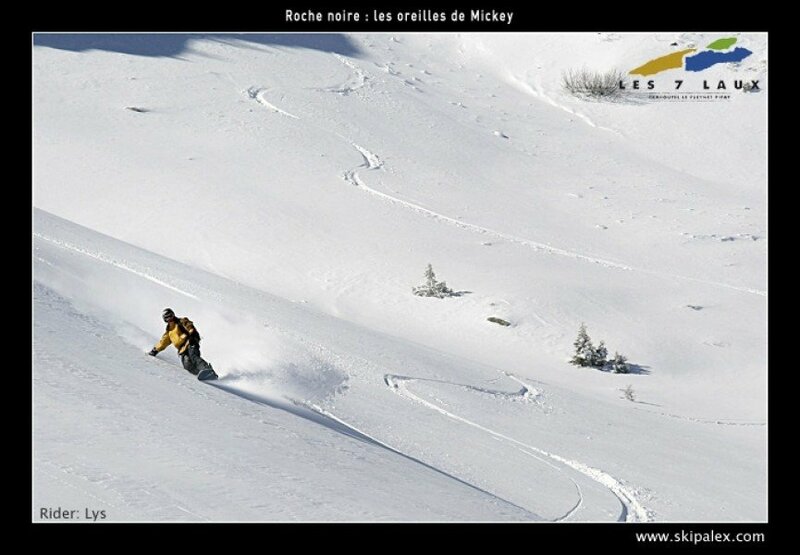 The close proximity to Grenoble makes the ski area a popular destination for weekend breaks. As a result, there are sometimes long queues at the lifts on weekends. However, during the week, Les 7 Laux can be savoured in relative peace. At the valley stations as well as at the “Grand Cerf” chairlift, there are various lodges and restaurants which offer a wide range of food and drink. The focus of the cuisine here is very much culinary specialities from the region. The black-marked “Vallons du pra” run serves up outstanding views of the surrounding landscape, though the challenging terrain doesn’t allow much time to savour them! 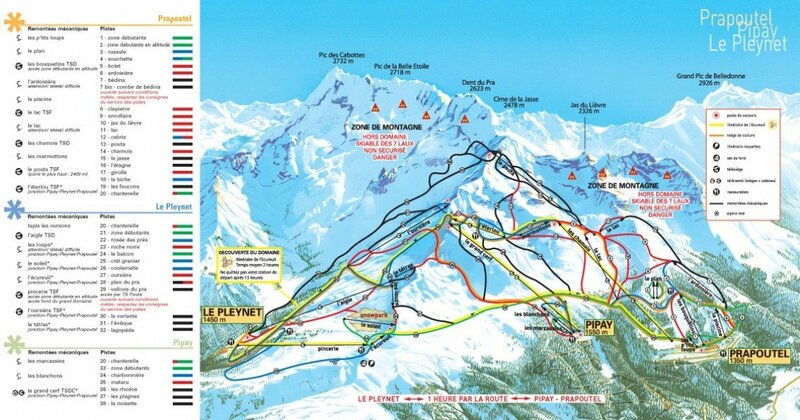 The run starts at the highest point in the ski area at 2,400 meters and leads down to the Le Pleynet valley station. This is a difference of almost 1,000 vertical meters. If you’d prefer to experience some of the gentler trails in the ski area, following the “Itinéraire de l’Ecureuil” is a good place to start. This roughly two-hour tour leads you through the winter landscape on blue-marked runs. If you fancy spending a day away from the slopes, the region also offers plenty of options in this respect. In addition to a network of cross-country routes through the landscape, there is also an excellent web of winter walking paths through the backcountry. If you want to get into some untouched terrain, snowshoe hikes and dog-pulled sleds are also available. Sled runs and ice rinks are also located close by. If you’d prefer a bird’s eye view of the French Alps, there is surely no better way than with paragliding. And if that sounds like too much adrenaline for you, the spa centre offers a slightly more laid-back option. Evening life in Les 7 Laux is a little quieter than in other mountain resorts. There are, however, various bars where you can enjoy a drink or two after a day on the slopes. There is even a disco for anyone who fancies a dance in the early hours. In the “La Gambade” disco in Prapoutel, the party also goes on well into the night. Grenoble is only around 35 kilometres from the ski area. The easiest way to reach Les 7 Laux is by taking the A41 north and then heading for Albertville / Brignoud / Froges at exit 24b. From there, you can take the D250 to Les Adrets. After a brief spell on the D280, continue on the D281 to Prapoutel. If you are travelling to Le Pleynet, follow the A41 to Goncelin and you will reach your destination after passing through Allevard, Pinsot and La Ferrière (D525 / D525A). The ski area is also around 50 kilometres away from Chambery. From here, follow motorway A41 south and depending on your destination, take the exit for Goncelin or Froges and follow the signposts. There is plenty of free parking at the valley stations. 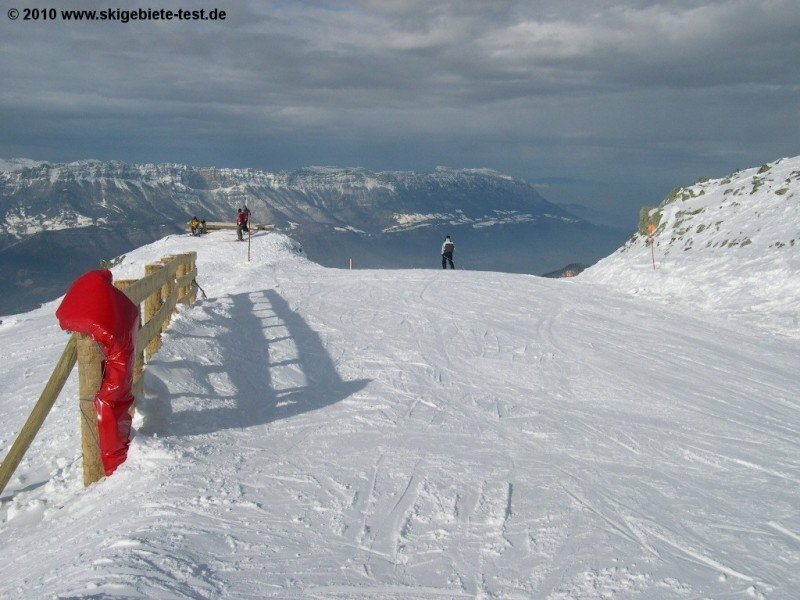 The airport Chambéry-Savoie is around 60 kilometres from the ski area, and there is also an airport in Grenoble, around 90 kilometres away. Unfortunately, there are no direct rail connections to the ski area.